His dress sense may make the Devilfish look trendy, but in poker terms, James Dempsey is fast becoming a titan of the virtual felt. 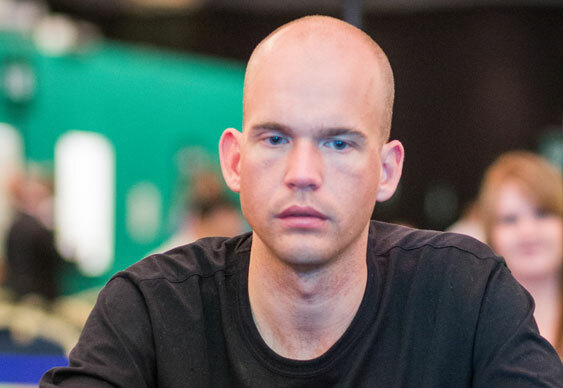 Already an established MTT maestro Dempsey, aka ‘Flushy’, cemented his talents in April’s SCOOP with three final tables including a second for over $200,000. What the hell does MKKMOO mean? It dates back to the good ol’ days of Tribeca when I used to have the cow avatar. Back then, when 300 players online was a big amount, the $0.10/0.20 games were obviously full of the same people and so we all knew each other. Eventually we all started using the cow avatar and became known as the 'Moo Klux Klan', so when I created a Stars account, MKKMOO seemed like a good idea. Several British players such as Moorman1, Jagz7 and yourself have started to do well in big online festivals. Do you think we’re catching the Americans up or are they still miles ahead? They are still miles ahead, although I don't really see it as simply “the Americans” as there are a lot of good regs in MTTs from a host of different countries; not many from the UK however. I think part of this is that there is a good ‘live’ scene in the UK so a lot of the people who might be MTT grinders online play the softer live comps and online cash instead. Also, the English players have a bad mentality for self-improvement; they tend to concentrate on how bad opponents have played and rarely look at improving their own game. Who do you consider to be overrated in the world of online poker and who are the up-and-comers in this country? Overrated, the list is huge; a lot of the top 100 MTT players as rated on PocketFives are breakeven at best. I think the up-and-coming department is pretty small from what I have encountered, but Dave 'LeKnave' Jones has been steadily improving and is starting to reap the rewards. Tom 'hitthehole' Middleton is another excellent player who has been around a bit longer at the higher levels but is never someone you would want on your table! I am sure there is a wave of players hovering around the mid-stakes MTT games who, given the right break, could become big names online. Has your schedule changed now your bankroll has ballooned or is it more of the same? Will you start splashing out and aiming sky high? Sounds like a bit of a brag, but it’s not really “ballooned” the bankroll. I am just going to keep playing the same games as there isn't really anything higher (I don't play the Stars/Full Tilt $1,000 MTTs as they are pretty tough). It will, however, allow me to take a shot a bit more frequently if there is a live tournament I fancy. It may also give me more chance to stake some people into bigger events. You’ve got a decent reputation live too, but what is it that makes you so successful online? Has anything in your game improved lately that explains your recent success? I discuss a lot of strategy on online MTTs, in particular on how to exploit people's lines/how to merge my own lines given you play regularly. I have recently balanced my preflop range near perfectly early on in MTTs as well as getting a bit tighter when in early position. This is working wonders. You came second in the $320 SCOOP event for your biggest ever score. Tell us about the deal negotiations. Were you gutted not to have won it? Ha, yeah, the deal in this was fun. We had a very drawn out process with six left when I managed to get them to agree to give me a chunk more but it all fell down when the short stack made a crazy demand and so we played on. I then knocked out two players. After this we did a deal based on the standard chip count model which favours the big stacks. I was the chip leader at the time so was quite happy to take the $205,000 on offer and play on for $30,000. I wasn't too worried about not winning, I did the best I could to win from there but one of my opponents went on a sick heater and there was nothing I could do about it. It would have been nice to have got a ‘win' but I am happy with second, fourth and fifth over the festival. How do you react when you win such a big sum online? Is it fist-pump- chair-swivel and then run around the room screaming while swinging your trousers over your head? Actually, it was odd, I didn't really react in a positive way, it was more a sense of relief. I have got down to the last 15 at least 5 times before when first was $200,000 plus and had never had a big score so I think when I locked that $200,000 I was just glad I had broken the jinx! I have been far happier after winning tournaments where I have had to play really well to win $10,000. That is maybe why I don't find it difficult to keep grinding as it’s the fun of winning more than the money that keeps me coming back for more and drives me to be a better player. You seem to be competing with Neil Channing for the King of the Stakers’ crown. Obviously you have your staking on blonde Poker, but is your own private stable going to increase in size or do you want to focus on playing? My stable has started to build a bit of a reputation. What started out with Paul Parker has grown into a really big thing now and I am really happy about it. Not only does it provide another revenue stream, but it's great fun railing my guys when they are deep in tournaments and trying to help them improve as players. It doesn't actually take up much of my time, as Nicky Evans manages it all for me, so I can focus on playing. What are you plans for Vegas? I’m not really a big fan of the WSOP. If I do go it will be for the first three weeks to play some of the mad field $1,500/2,000 events and all the Omaha High-Low and Pot Limit Omaha comps. I am not really bothered about winning a bracelet, however, if I were to make it to a final I am sure I would make some minus $EV choices in an attempt to win a bracelet. It's not the Holy Grail to me though as it is to some others. All it means is you ran good in one comp.